Page "DB Information": You can see all informations of your database. You can also run your sql query with the sql box built in. However, please be careful with sql query because it can update/remove your database. Page "DB Backup / Repair": You should backup your database several times / month. If there is any problem with your website, you can use the latest backup files to restore it. Page "DB Restore": use it to restore backed up database. 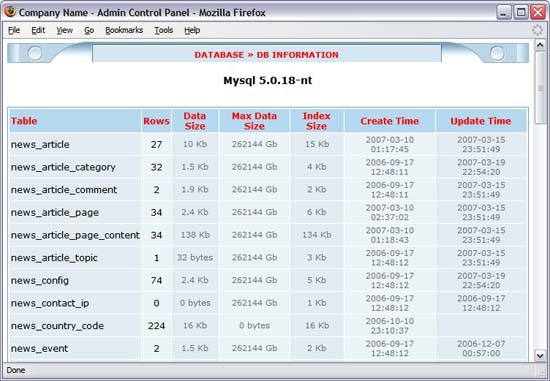 Pages "Runtime Information", "System Variables" and "Proccesses": show system informations of your mysql.